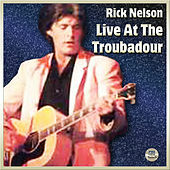 Many consider Rick Nelson a classic teenage idol. Because of his clean-cut looks and the fact that his music consisted of watered-down Rockabilly and Soul, it took years before he would be considered anything other than a pretty face. Millions of television viewers saw Nelson's face each week on the Ozzie and Harriet show. As luck would have it, all his early singles found their way onto the show, continually rocketing him to the top of the pop charts: indeed, he reached the Top-40 thirty times between the years 1957 and 1962, second only to Elvis. 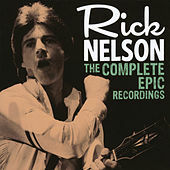 When the TV show was cancelled in 1966, Nelson was able to concentrate solely on music. He formed a Country Rock band -- one of the first, in fact. Tragically, he died in 1985 in a plane crash while on his way to a New Year's Eve show in Dallas, Tex.